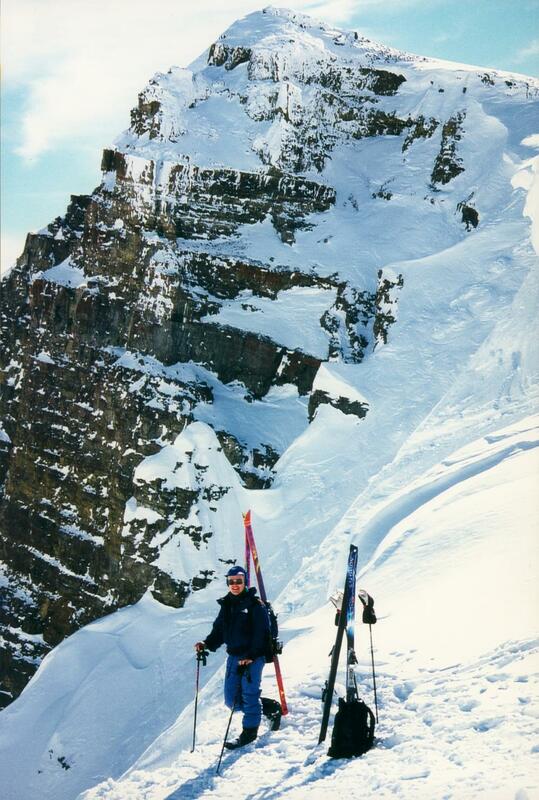 First day of skiing in the United States: touring the Cody Bowl in the Jackson Hole backcountry, after a powder dump. To get to this place we needed about a half an hours climb, with our skiis attached to our backpacks. See also other Jari's pictures.